Vues spectaculaires Smoky Mountain !!! Réservez dès aujourd'hui !!!! Rustique cabine de 1500 pieds carrés situé dans la station de ski de Shagbark, qui a fermé l'accès seulement avec grillage de 24 heures de service. Cette cabine est isolée afin que vous puissiez profiter de la beauté calme de la Smoky Mountains. La promenade à Pigeon Forge est à seulement quelques minutes, ainsi que le parc national des Great Smoky Mountains Gatlinburg et la Grande. aéroport de Knoxville est de 30 miles de la cabine. Jackie was very helpful and sweet! She replied my questions on text quickly and I could talk to her like we were friends for a long time! This was our first time renting a cabin so the drive up the curvy road was a bit scary. The only thing I didn’t like were the beds were a little uncomfortable but that won’t stop from booking with her again! Thanks for opening up your cute little cabin to my family and I! We absolutely loved this cabin! The owner was so sweet and easy to work with! She sent us texts on arrival and departure to make sure we made it ok and hoped we had a great week. The cabin is stocked with everything you need to get started. We loved the video games and hot tub! Having front and back views was also amazing! The cabin was beautiful. Exactly as pictured. The cabin was clean and the beds were very comfortable to stay in after a long day of hiking. The pool table was in great shape, the TVs had great signal, the hot tub was ready for use upon arrival and very clean. There were even some board games provided that were fun to use at night. The views were beautiful from the cabin! Jackie was wonderful to work with. She was easy to contact and had great communication! She was happy to give any recommendations and always wished us safe travels. 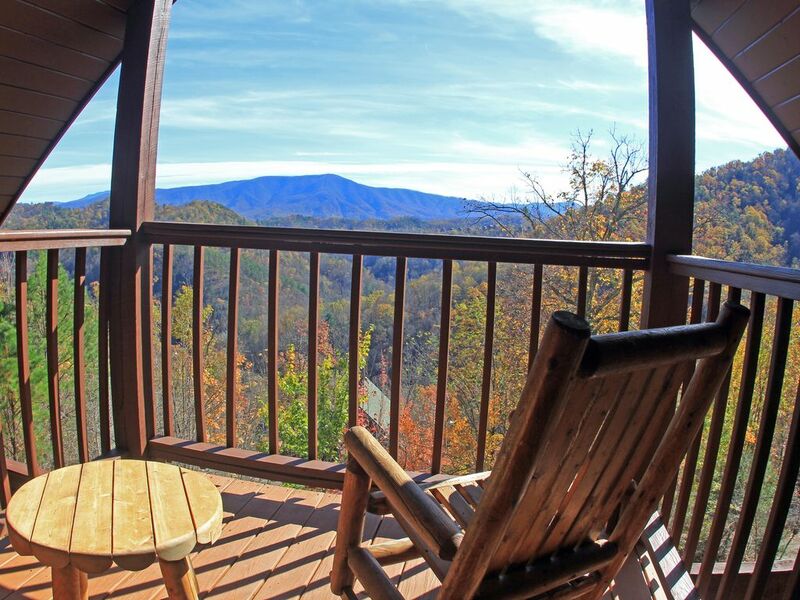 I would recommend this cabin to anyone planning on traveling to the Smoky Mountains! We will certainly be back! Note: the cabin is located on mountain roads, which were an adventure to drive on. We traveled in a Jeep which did not seem to have any problems, but having the right car for those type of roads was something to keep in mind. All-in-all the drive was well worth it for the views! Our family was extremely happy with the cabin. We have 5 people in our family and we were all very comfortable. Being in the mountains made and so close with nature had our kids asking “what world is this? What world are we in?” The sunrise and sunset was so beautiful! My heart was so happy to see all the beautiful colors of the sun morning and night. The hot tub was just what we needed to relax and enjoy what Mother Nature has to offer. Jackie was a wonderful owner to talk to and was on top of make sure we were comfortable in their home. I recommend arrrivng when their is still day light because never being in the mountains I became nervous in the dark. Make sure to follow directions given because Navigation doesn’t know what she is talking about and took us a way where the roads are stepper and hillier. The aquarium is a must see while in Gatlinburg !! We had no clue how much there was to do and see! It was a family trip and we liked the location and amenities in the cabin. It was very clean and had enough supply of amenities to get started. Precheck in paper work could be improved to make it possible to e-sign instead of old ways. The cabin was beautiful, clean, and had a great view! Unfortunately we could only stay 1 of our 3 nights due to the flooding happening at the bottom of our mountain. We were stuck in our cabin the first full day not allowed to come or go by the guard shack because of flooding. So we made use of the pool table, enjoyed the fireplace, and relaxed on the balcony watching the rain and the fog drift over the mountains. I wish we could have stayed our entire trip but when we finally were given permission to get off the mountain we saw that there was so much rushing water over the roads and we didn’t feel comfortable going back up later so we made the decision to leave for safety concerns. The owner Jackie was in contact with us the entire day we were stuck there, making sure we were getting the alerts from the guard shack and that we were okay, and she was upset we decided to leave but was understanding. We hope we can plan another trip during better weather! This was the first time the mountain has flooded in nearly 10 years, so do not worry thinking it will happen to you. It was just our luck. We unfortunately lost money for not staying but I understand their policy and never once expected or asked for a refund. It was no ones fault but mother nature’s. The drive up to the cabin at night in the fog was a little scary for me and the shared driveway with the neighboring cabin is really steep. My Kia Soul did just fine on all of the hills and curves. If you’re looking for a cabin with an amazing owner who wants nothing more than for you to have the best cabin experience, then this is the perfect place! We require a $250 security deposit which we will put as only a hold on credit card.